Marie Stopes International Ghana (MSIG) has vacancy for passion driven, well-organised, client-oriented and energetic individual with the under listed relevant qualifications and experience to occupy the Fleet Officer position in the organisation. MSIG's goal is to meet the needs of the underserved and improve access to the use of Family Planning (FP) and other Sexual Reproductive Health (SRH) services. 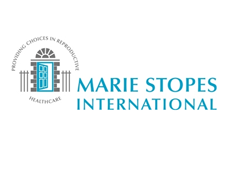 MSIG is part of Marie Stopes International's global partnership, which operates in over thirty seven (37) countries worldwide. The Fleet Officer is responsible for the operations of MSIG fleet of vehicles and the management, training, coordination and professional conduct of MSIG drivers. The Fleet Officer will work with all MSIG drivers or assigned drivers and their supervisors in the delivery of his/her job.